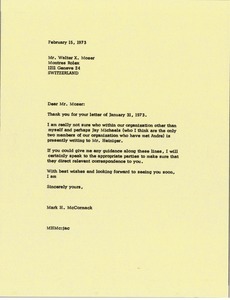 McCormack is not sure who in his organization might be writing to Andre Heiniger but will speak to people about directing relevant correspondence to Moser. 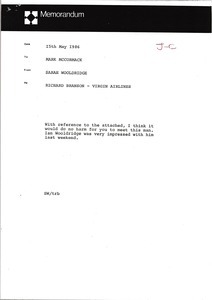 With reference to an attached invitation, Sarah Wooldridge indicates to McCormack that she thinks it would do no harm for him to meet with Richard Branson. 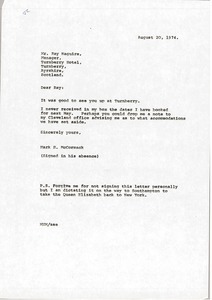 She notes that Ian Wooldridge was very impressed with him. 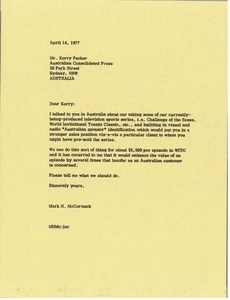 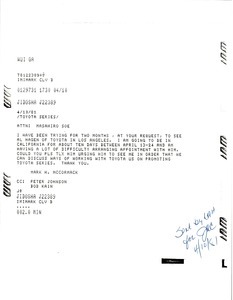 McCormack writes regarding building in visual and audio sponsor identification on the television sports series. 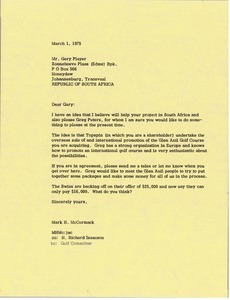 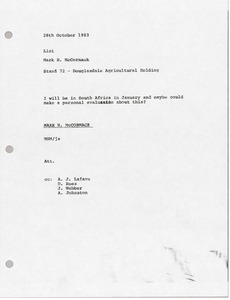 McCormack informs a list of staff members that he will be in South Africa in January and could possibly make a personal evaluation about Stand 72 -- Douglasdale Agricultural Holding. 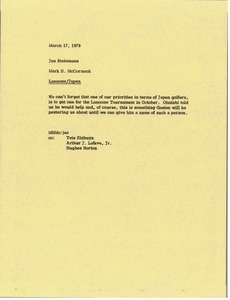 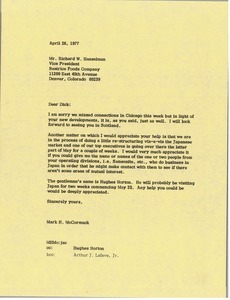 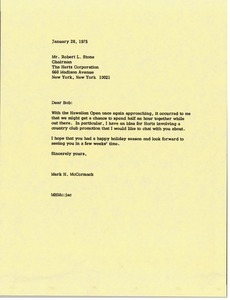 McCormack asks for a note listing the accommodations set aside for his trip next May.